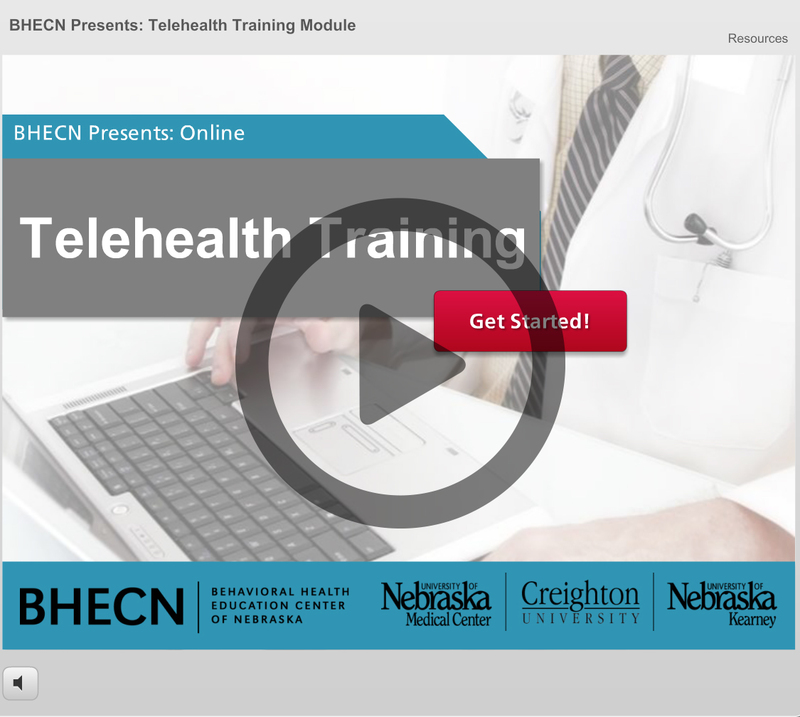 With 88 of 93 Nebraska counties designated as mental health professional shortage areas, telehealth can reach people in need of mental health services no matter where they live. Telehealth use is expanding all over the country, connecting patients to services they need but are not able to access in their community. This module no longer offers continuing education. There are no fees for participating in this activity. Complete the online evaluation at the end of the activity. The estimated time to complete this activity is 1.0 hour. If you have any questions, please contact BHECN at 402.552.7697 or by e-mail: bhecn@unmc.edu.